Prudential Financial, Inc. (NYSE: PRU), a financial services leader with more than $1.3 trillion of assets under management as of December 31, 2018, has operations in the United States, Asia, Europe, and Latin America. The diverse and talented employees of Prudential Financial, Inc. (PFI) are committed to helping individual and institutional customers grow and protect their wealth through a variety of products and services, including life insurance, annuities, retirement-related services, mutual funds, and investment management. In the U.S., Prudential's iconic Rock symbol has stood for strength, stability, expertise and innovation for more than a century. The Prudential Insurance Company of America (PICA) and Prudential Retirement Insurance and Annuity Company (PRIAC), both wholly owned subsidiaries of PFI, are leading the way in helping all types of defined benefit plans in the United States create a clear path to pension de-risking, regardless of their plan size or funded status. As the largest manager of U.S. pension buy-outs, PICA's and PRIAC's risk transfer solutions combine its core strengths in retirement, insurance and asset management. In addition, PRIAC provides longevity reinsurance to insurers in the United Kingdom. These strategies transfer longevity risk to PRIAC in exchange for reinsurance premiums, and deliver the flexibility U.K. insurers need, along with the added security their clients demand. For its innovative work in the $27 billion BT Pension Scheme captive longevity reinsurance transaction, and its continued support and innovation in this important growth area for the pension industry, PFI has been named “Reinsurer of the Year” for four consecutive years (2014-2017). 1. UK-based centre of excellence for improving understanding of human longevity. 2. Community of organisations with a shared interest in longevity and belief that the 'bigger' the data, the lower the (statistical) noise. 3. Provider of longevity risk informatics to support pension funds' risk management strategies and enable market innovation. Directors of companies such as New York Life, Genworth and Ameritas Life. Its robust, peer reviewed medical analysis is complimented by state of the art actuarial research. Its proprietary mortality tables facilitate more precise cash flow modeling by incorporating changes in the slope of the mortality curve related to severity of impairment. Fasano licenses its database and mortality tables to qualified institutional investors. Fasano also hosts an annual Fall Longevity Conference that is geared to the investor market. This year's Conference (www.fasanoassociates.com\registration_form) will he held on Monday, November 4th in Washington, DC and will include eight substance packed presentations followed by cocktails and dinner. Pacific Life Re is a global reinsurance company, working with clients in Europe, North America, Asia and Australia to help manage their risks associated with longevity and protection products. We are highly experienced in structuring, implementing and managing longevity-related transactions; transferring the longevity and demographic risk relating to in-force insured annuities and pension liabilities. We have been at the forefront of the pension risk transfer market for the last decade. Since our first longevity transaction in 2008, we have now completed nearly 40 UK-based longevity swaps covering in-force liabilities of around £25 billion. Today, we are one of the largest and most experienced in the longevity market and are expanding our longevity offerings beyond the UK to North America and Europe. Reinsurance Group of America, Incorporated (RGA), a Fortune 500 company, is among the leading global providers of life reinsurance and financial solutions. Founded in 1973, RGA is recognized for its deep technical expertise in risk and capital management, innovative solutions, and commitment to serving its clients. With headquarters in St. Louis, Missouri, and operations around the world, RGA delivers expert solutions in individual and group life reinsurance, annuity reinsurance, longevity risk transfer health reinsurance, facultative underwriting, product development, and financially motivated reinsurance. To learn more about RGA and its businesses, visit the company’s website at www.rgare.com​. Canada Life Reinsurance offers a range of products in Europe and North America to enable our clients to reduce their exposure to longevity risk, enabling optimum risk management and continued growth opportunities. We work closely with leading annuity providers, pension plan trustees and their advisors in order to understand each client’s needs, meet pricing project timescales and implement new treaties as efficiently as possible. We benefit from the financial strength and robust risk management culture associated with Great-West Lifeco Inc, which includes top ranking credit ratings from the major rating agencies (AA S&P, AA3 Moodys). We are an experienced counterparty, having executed our first large-scale longevity transaction in 2008. Recent longevity transactions in the UK market include the reinsurance of £2bn of liabilities associated with the National Grid Electricity Group pension plan, £1.5bn of liabilities associated with the MMC Pension Plan as well as a variety of non-public transactions with leading UK insurers. We are also very active across continental Europe, with past transactions covering annuity blocks of up to €6bn in size. Legal & General Group plc, established in 1836, is one of the UK’s leading financial services companies. Legal & General is a top 20 global asset manager with over £1 trillion of assets under management, and the UK’s largest provider of individual life assurance products. With around 7,000 employees we look after the financial security of over 10 million customers in the UK and US and manage investments for around 3,000 institutional clients. We have been listed on the London Stock Exchange since 1979 and sit within the FTSE 100. Our Pension Risk Transfer business forms an important part of Legal & General’s overall growth strategy. We are the longest-serving active bulk annuity provider in the UK, having worked with trustees and companies to de-risk UK pension schemes for over 30 years. In that time we have issued over 3,500 policies and now provide income and security in retirement to over one million people. Our products cover the full range of pension scheme insurance available, from pension buy-ins and buyouts to longevity insurance. Legal & General Reinsurance Company (L&G Re) is the global reinsurance hub of the Legal & General Group and the vehicle by which the Group carries our Pension Risk Transfer business outside of the UK and US. We specialise in the reinsurance of annuity, longevity and mortality risks by providing bespoke solutions to meet the risk and capital management needs of our clients. Through reinsurance, we contribute to providing long term financial security to over 1 million policyholders globally. L&G Re is rated A+ by Standard & Poor’s and Fitch. 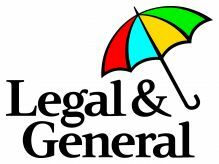 To learn more about L&G Re, visit the company’s website at legalandgeneralre.com. The Society of Actuaries (SOA) is the largest global professional actuarial organization. With unmatched research and education, and over 30,000 members, we prepare the individuals trusted to drive better business decisions and promote financial security in an ever-changing world. The SOA provides a full range of rigorous pathways and distinguished credentials that are marks of distinction around the globe, including the Fellow of the Society of Actuaries (FSA) and the Associate of the Society of Actuaries (ASA). In addition, the SOA offers the Chartered Enterprise Risk Analyst (CERA) credential, relevant in the field of enterprise risk management (ERM). For more information, please visit SOA.org. Willkie Farr & Gallagher LLP is a leading international law firm with approximately 700 lawyers based in key financial centers: New York, Washington, Houston, Palo Alto, Paris, London, Frankfurt, Brussels, Milan and Rome. Our clients include domestic and international insurance and reinsurance companies, insurance brokers, private equity firms, hedge funds, and other insurance industry investors. Our Insurance Transactional and Regulatory Practice is an interdisciplinary team of lawyers devoted to the full spectrum of insurance-related transactions, including mergers and acquisitions, public and private securities transactions, institutional private placements, financings and joint ventures as well as specialized insurance and reinsurance structures such as securitizations, collateralized reinsurers and sidecar transactions, hybrids, catastrophe bonds, dedicated insurance-linked securities funds and contingent capital facilities.